Tablet für Business-Kunden, das seine Entertainment-Fähigkeiten noch ein wenig entwickeln muss. Keine Frage: Das PlayBook ist die ideale Ergänzung zum Blackberry-Smartphone. für alle anderen mobilen Anwender ist es leider nicht mehr als ein cooles Spielzeug. Das kompakte Playbook wird separat verkauft, leiht sich wichtige Funktionen aber von einem Blackberry-Smartphone aus. Hohe Performance und das tolle Display des Playbook gefallen, aber es gibt nur wenige Apps. Alternative: Apple iPad2 ) ca. 480 Euro); App-Angebot und Akkulaufzeit sind noch besser. Über 15 Millionen Käufer haben sich bislang für ein iPad entschieden und damit einen Tablet-Boom ausgelöst. In den kommenden Monaten haben Unentschlossene die Wahl zwischen unzähligen Konkurrenzprodukten, die mit frischen Ideen aufwarten, vor allem aber an Schwachpunkten von Apple ansetzen. Lohnt sich das Warten? RIMs Playbook kann nur dann E-Mails anzeigen, wenn ein Blackberry-Handy gekoppelt ist. 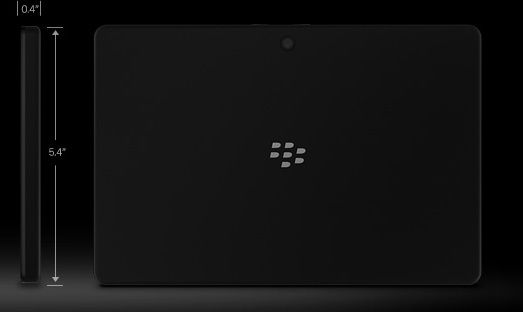 Beim Playbook ist Blackberry-Hersteller RIM in die Vollen gegangen. Das Tablet hat ein eigenes Betriebssystem verpasst bekommen, das im Zusammenspiel mit der hochwertigen Hardware im ersten Check voll überzeugen konnte. 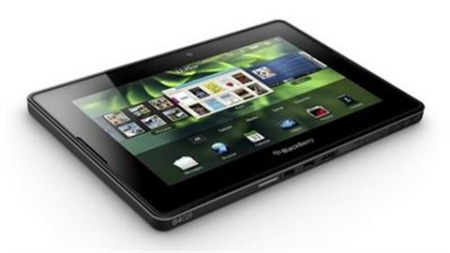 The BlackBerry PlayBook 2.0 is a lovely device to hold and use. It’s small and light enough to carry anywhere, and the display is impressive. If BlackBerry could entice more developers to transfer their apps to the platform then it would be truly excellent. At £169, it’s the definition of a bargain. It could be. The PlayBook is now a very solid tablet for BlackBerry owners and non-BlackBerry owners alike, but the hardware is a year old, it's still not available with cellular network support, and Apple just dropped the price of the mega-popular iPad 2, to $399, and announced the new iPad, available on March 16. Just by the spec sheet and test results, this should be at least a 3.5-star product. But we're keeping it at three stars because we don't have faith in the ecosystem. We're not convinced that the low sales of the PlayBook and lack of other QNX-based devices on the market will lead to more app development soon. Amazon offers not only a broader range of media, but a sense of the wind at its back and the ability to plug into the larger Android world. Even though this tablet has better specs, the Kindle Fire has more of a future, so the Kindle Fire remains our pick for small tablets. The PlayBook has email – hurrah! It also retains its silky smooth speed and excellent multi-tasking performance, along with the unique gesture-based movement between launchers, docks and app screens – no hard or soft buttons to worry about here. But with limited access to other apps and some frustrating quirks, it's still lagging behind Android and iOS for a vision of the mobile future. What does make it stand out, however, is the price. It's an absolute bargain at £170, and when combined with this new OS that makes the Playbook a genuine contender. The much needed software upgrade for the PlayBook tablet does make it a lot better in a number of ways. The three main apps significantly improve the PlayBook and RIM has done a great job of including good features and making them work well. However, we can't bypass the fact that these should have been present when the PlayBook was launched last year, so they hardly make the tablet leap ahead of its rivals. These basic features should have been there from the start and the PlayBook OS 2.0 should have been something completely different. Overall, BlackBerry PlayBook OS 2.0 is a solid update for the PlayBook. However, most of the improvements it brings to the table are features that should have been there from the beginning. There's not a lot that truly sets the PlayBook apart from the rest of the tablet crowd. Yes, this $199 device is a better choice for business users than the identically priced Kindle Fire. The PlayBook also has features Amazon's slate lacks, such as cameras, volume controls and HDMI output. Nevertheless, while PlayBook OS 2.0 makes RIM's tablet a better communications and productivity tool, it's still not compelling enough to tear people away from the iPad. Not everything is negative. The PlayBook does come with a few decent built-in productivity apps, a nice browser and one very cool game. The small size and light weight also makes it an easy tablet to use in-hand. These are niche justifications for the tablet’s existence, however. The bottom line is that the PlayBook feels half-baked, and while it may appeal to some business users because of its compatibility with BlackBerry phones, consumers have few reasons to choose this over the competition. The PlayBook is a capable tablet whose functionality and usefulness will only increase as more apps and games become available. 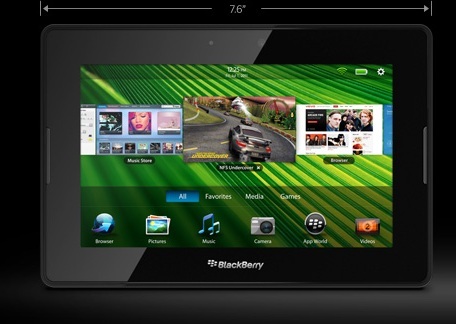 In closing, the BlackBerry PlayBook is a good tablet that has potential to be a LOT better. I’ve seen some of that with software updates over the last couple of months. RIM has certainly done well on the hardware site but really needs to get native PIM apps, a native SDK and the promised Android player as soon as they possibly can because they have some fierce competition with the iPad 2 and other Android based tablets like the ASUS Transformer. Until then, the PlayBook is mostly for die hard BlackBerry fans. RIM is positioning the tablet as an add-on to the BlackBerry smartphone range, with a large screen to beat the input and display problems of the BlackBerry. While this approach has many advantages, it misses a crucial point: tablets are not smartphones and need to be used as independent devices. This first-generation tablet has much to offer, and RIM has used the small form factor better than anyone else on the market, but all but the most hardened CrackBerry user should wait for version two. This first-generation tablet has much to offer, and RIM has used the small form factor better than anyone else on the market, but all but the most hardened CrackBerry user should wait for version two. Right now, though, it feels like the PlayBook was rushed to market - one feels that it needs a few more updates before it will be fully cooked. Nevertheless, what we already have on the device right now is actually a solid piece of work for web browsing and some gaming. However, even though we know updates are imminent, as it stands this tablet lacks app support, is too unstable, has variable performance, and is too reliant on being paired to a BlackBerry phone. Check back in a couple of months, though, and we could well have a winner on our hands. The operating system is deeply attractive and easy to use – arguably better than Android though in need of more apps, of course. RIM’s main customers are business users and some may find it too frivolous to be worthwhile. But if you want a tablet that offers strong leisure features like games, browsing and video playback plus uncompromising security, the PlayBook suggests that the future of tablet computing may not be limited to a two-horse race after all. The PlayBook is especially unattractive to businesses that don't currently deploy BlackBerry phones. Without BlackBerry Bridge, the functionality of the PlayBook is severely limited unless you commit to the expense of switching to BlackBerry and the necessary server-side software. Until this changes we can't see many iOS/Android-using businesses adopting the PlayBook for serious use. We can't recommend the PlayBook to non-BlackBerry users in its current state and even die-hard fans should think about their tablet needs carefully before investing in the PlayBook. That business focus means it won’t appeal to everyone, but if its price mirrors the reasonable US tag (nothing official has been announced for the UK just yet) and the 3G version doesn’t take too long to arrive, we see no reason why it can’t challenge the best tablets on the market. I love the Playbook interface, the device elegant form factor, the great display, the compact size and the performance. However, the lack of exchange support and the absence of native email, calendar and contact apps is an adoption roadblock for non-BlackBerry users. Messaging and emailing is one of the regular activities that almost everyone performs on a tablet. The PlayBook is hard to fault. Technically it’s up there with the best, with an OS and hardware combination that seems to be unflappable. Any new format is bound to be short of software at launch, but whether or not BlackBerry can ramp up its app roster fast enough will be the deciding factor in its success or failure. We had heard rather mixed reports about the performance of the PlayBook so were not sure what to expect. However, once we got used to the slight navigational quirks and the very tiny silver power button the top to reactivate the tablet from standby, we began to admire it more and more. RIM has put together a rather neat tablet with plenty of oomph. For now, we are going to put this in the wait-and-see category. The experience of the PlayBook could change drastically with a few additions, so hopefully RIM will speed up the development of those missing pieces and get them to market right away. The question is, can RIM afford to be in the waiting pile, and how long will it linger there? Unfortunately, there's no indication here that the Playbook has done anything to alter that crash course. It is a Blackberry device and yet there is no calendar app and no place for contact info to be stored. There is no way to organize files. You can't customize anything. While there are a lot of good things about it, that's all overlooked by the amount of things you can't do. The future for the PlayBook looks distinctly different to the tablet it is now, however. Android app compatibility, more native software, the ability to use email, calendar and other core apps without a “Bridge” to a BlackBerry phone – they’ll all change the PlayBook hugely. RIM is pushing out firmware updates at a rate of knots, almost daily in the run-up to launch, and each has tweaked the overall user-experience toward greater stability and functionality. All but the most ambitious of early-adopters should hold off until the PlayBook reaches the tipping point where ability matches promise. 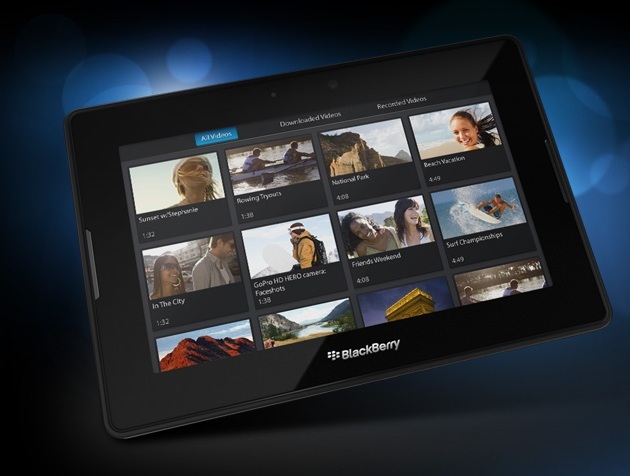 The BlackBerry PlayBook gets a lot right, but it also feels very much like a work in progress. It could shine in the future, but for now it's constrained by its limited app selection, software glitches, and choices in functionality or design that should limit the PlayBook's popularity among consumers. Businesspeople who already depend on BlackBerry phones should value both the way those phones will interact with the Playbook and the built-in security of the platform--and for that audience, those capabilities will override many of the PlayBook's other weaknesses. RIM: Research in Motion ist ein 1984 gegründeter kanadischer Smartphone-Hersteller, bis 2011 vor allem durch Blackberry und Playbook bekannt.